I almost never agree with USA Today columnist DeWayne Wickham. Almost never. But this is one of those times where his column sheds some interesting light on Barack Hussein Obama, even if it wasn’t in the way he intended. Apparently, Obama went out of his way to endorse a pan-Islamist, anti-Semitic, anti-Israel bigot and one of the most radical Members of Congress–Congressman Chaka Fattah (that his last name is the same as one of the manifestations of the PLO isn’t exactly a coincidence)– in the Democratic Primary for Mayor of Philadelphia, last year. 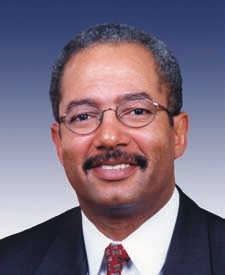 Fattah, for example, was one of 62 Democrats voting against a House resolution in favor of Israel’s right to defend itself against Palestinian terrorism and also build a border fence to keep terrorists out. Early in the 2007 mayoral campaign, Nutter was thought to be a long shot candidate in the five-man race for the Democratic Party’s nomination. 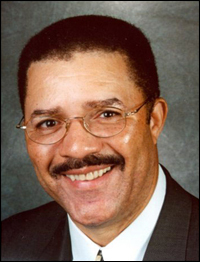 But shortly before the primary, Nutter pulled ahead in the polls, overtaking his four opponents, including U.S. Rep. Chaka Fattah, who was once the favorite. Despite all this, Obama, who launched his presidential campaign in May 2007, quickly threw his support behind Fattah in the primary. Obama then sent an e-mail to Fattah’s supporters urging them to make financial contributions to the congressman’s flagging mayoral campaign, according to The Philadelphia Inquirer. Despite that appeal, Nutter finished first in the primary and went on to win in the November general election. The following month, Nutter endorsed Clinton. “I met with both Sen. Clinton and Sen. Obama last year, and I made my judgment based on their experience and policy ideas. I’m going to work very hard (to help her win the Pennsylvania primary). I’m not conceding any section of the city or any constituency” to Obama, Nutter told me. . . . There seems to be little friendship between Philadelphia’s mayor and Obama, who took time in the midst of his busy presidential campaign to try to block Nutter’s path to City Hall. It won’t be easy for Nutter to make good on his endorsement of Clinton. If what happened in other primaries is any indication, the vast majority of Philadelphia’s blacks – who make up nearly 46% of the city’s 1.4 million residents – will vote for Obama. But if Nutter, the man in whom Philadelphians invested their hope for a better future, can deliver 20%-25% of the black voters in Pennsylvania’s largest city to Clinton, he might succeed where Obama failed in trying to influence the outcome of an important election in the Keystone State. If you’re not already convinced of Obama’s pan-Islamist sentiments, his endorsement of Fattah–one of the most anti-Israel, extremist Members of Congress–should be a big hint. Obama is aware, however, that for most Democratic voters, and, unfortunately, maybe most voters, an empty rhetorical gesture will outweigh all these things. His latest PR gimmick is a meeting with Israeli Foreign Minister Livni, where he asserts that Israel has a right to defend itself, and that Iran must not develop nuclear weapons. Not only does he have natural inclinations to weaken this country, but virtually no one is putting any pressure on him to change to pro-American positions. Since Hillary basiclaly agrees with him, her criticisms of him are substance over form, which is the name problem with those talk show hosts who say to vote for her instead of him so that criticisms of him will be made. It remains to be seen whether McCain will put pressure on him, but I am not optomistic. With their present leadership, the Israelis certainly won’t pressure him, no other international leaders will. The only hope is for conservatives to call him on these things as is done on this blog, but in order to do that consistently means being that our comments must be driven not by which candidate is the best, but which political positions are the best; the candiate is a secondary question. Of course I meant that Hillary’s criticisms are form over substance. Ensure a Strong U.S.-Israel Partnership: Barack Obama strongly supports the U.S.-Israel relationship, believes that our first and incontrovertible commitment in the Middle East must be to the security of Israel, America’s strongest ally in the Middle East. Obama supports this closeness, stating that that the United States would never distance itself from Israel. Support Israel’s Right to Self Defense: During the July 2006 Lebanon war, Barack Obama stood up strongly for Israel’s right to defend itself from Hezbollah raids and rocket attacks, cosponsoring a Senate resolution against Iran and Syria’s involvement in the war, and insisting that Israel should not be pressured into a ceasefire that did not deal with the threat of Hezbollah missiles. He believes strongly in Israel’s right to protect its citizens. Support Foreign Assistance to Israel: Barack Obama has consistently supported foreign assistance to Israel. He defends and supports the annual foreign aid package that involves both military and economic assistance to Israel and has advocated increased foreign aid budgets to ensure that these funding priorities are met. 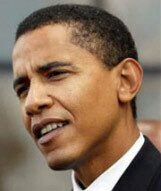 He has called for continuing U.S. cooperation with Israel in the development of missile defense systems. What planet do you post from? B. Hussein Obama made a speech about words and apparently words are his stock in trade. To me, actions speak louder than words. If he is such an advocate of Israel, why did he pick at least 4 rabid anti-Israel foreign policy advisers? Samantha Power, Robert Malley, Susan Lake, and Brzinski? Why doesn’t he make some statement distancing himself from Wright the anti Semitic pastor of his church? Why is he negotiating with the enemies of Israel and America without involving Israeli exponents into the discussion? If it walks like a duck etc. I post from Earth. Do you post from Kos or the DNC? You’re right, Fattah is a moron who can’t be trusted. He is after all, a Baptist. You know how those Baptists are. You crack me up Debbie; I haven’t laughed this hard since well…um, since I started reading your blog. Where did Debbie say he was Muslim? Apparently, you find it funny when our politician of whatever religious persuasion support our enemies. I assume you don’t live near the location of the twin towers. Great posts, Facts of Life! I call them Lieberals because what they believe in is usually lies. Most wouldn’t know the truth if it came up and bit them on their group-think collectivist lemming asses. Facts of Life: I don’t think I said that Debbie said that he was a Muslim did I? No? Thanks. But I will say this, Schlussel’s alleged “Pan-Islamist” crap about this guy is exceeded only by her Pan-Israeli bloviating. Israel is nothing more than a state defended and funded by the US in order to achieve a Biblical prophecy. Israel is a drag in our economy. But thanks for trying to put words in my mouth. Cheers!! We know here what Hussein Barack is all about… NOTHING. An empty suit, using his color and race and an affirmative action rhetoric and attitude to “make History” (his words). Alas, in America there are what I call ‘Idiotic Voters’. American voters are the stupidest, most idiotic, shallow voters on the face of the Earth. They vote according to the look, the feel-good-about and the image, not the experience, not the qualifications, not the ability to govern. Unless the voters wise up, which I doubt it, the country as a whole is going to suffer. M&M> Facts of Life: I don’t think I said that Debbie said that he was a Muslim did I? No? Thanks. C’mon, you can’t be so disingenuous. When you said Baptist you were obviously trying to mock her Islamist approach. >M&M Israel is nothing more than a state defended and funded by the US in order to achieve a Biblical prophecy. Israel is a drag in our economy. But thanks for trying to put words in my mouth. Cheers!! If you feel this way, you obviously feel the same about our aid to Egypt and Africa. As a matter of fact, I agree that Israel should not be so dependent on the US. However, we need allies in the Middle East. The Islamists are our enemies whether we like it or not so we should support Israel in the military sense if not in the monetary sense. We do. Allies do not shoot up our ships. They do not spy on us and sell our secrets to our enemies — and get caught on several occasions. They do not cheer and dance on a rooftop on 9/11 as the towers fall, making videos and polaroids of themselves laughing and celebrating. Their spies do not shadow the 9/11 hijackers for months and not tell us a thing. On 9/11, they don’t get caught in a van that tested positive for explosives. A Benjamin Netanyahu doesn’t say “It’s very goodÔø?Well, it’s not good, but it will generate immediate sympathy (for Israel)”. Spoken like a true ally. Why, Yawning gulf, you’re a troofer. I shoulda known. The US government has cleared Israel of any malicious intent in the attack on the Liberty. How does it make any sense that they should attack their major supporter in the middle of a hot war? As for Casey, David Irving of holocaust denial fame had some interesting things to say about him. Irving reports meeting Casey, and says Casey was a fan of the book, Hitler’s War, as well as, according to Irving, “something of an admirer of the late Fuhrer.” Caspar Weinberger was a well known self hating Jew and had it in for Pollard. I don’t condone Pollard’s spying but I heard that he relayed information to Israel about threats to Israel that the anti Semitic members of the intelligence services were holding back from it. YG> They do not cheer and dance on a rooftop on 9/11 as the towers fall, making videos and polaroids of themselves laughing and celebrating. Their spies do not shadow the 9/11 hijackers for months and not tell us a thing. On 9/11, they don’t get caught in a van that tested positive for explosives. A Benjamin Netanyahu doesn’t say “It’s very goodÔø?Well, it’s not good, but it will generate immediate sympathy (for Israel)”. Spoken like a true ally. This fairy tale or debunked urban legend is true troofer fare. If you believe this, your opinions are no mystery. What kind of friend of the US are you if you don’t trust them on the most crucial issues of our time? A Black racist endorsing another Black racist. Birds of a feather….what are the odds?